IZ band is definitely a freak band in the history of Chinese music. They are a mysterious figure in Chinese fans’ mouth, and they are a group of mustangs running with the Kazakh traditional music. In the decade, they started from the style of “Kazakh folk", "traditional music", "world music", later on they turned to the style of “Kazakh industrial rock". IZ band has constantly redefined the boundaries of them. Eventually they embarked on the lonely journey without hesitation. Their music is full of midnight raving , it was deconstructed into fragments of ancient Kazakh epic; one electric bass and a bunch of fans are used as the percussion instruments, the mysterious rhythms of oxygen bottles, barrels of gasoline will awaken your slumbering wild, it makes you follow them to sneak toward the unknown darkness. 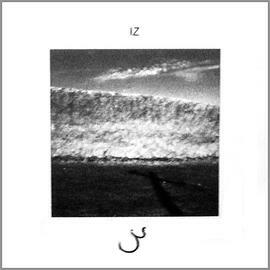 "IZ" is the meaning of "footprint" in Kazakh, these mantics is quite simple but it indicates the fate of the genius band: keep exploring and changing all the time, but they never arrived.